The role of the volunteer Board is to represent and promote the interests of members and Clubs within Western Australia at local, state and a national level. Each Director is equally responsible for the proper management, corporate governance and compliance of the Association in the best interests of our members and the Association as a whole. Determining, reviewing and maintaining the vision, purpose and values of the organisation. Approval of short and long-term strategies. Approval of expenditure over pre-specified limits. Appointment, performance evaluation and (if the circumstances necessitate) termination of the employment contract of the CEO. Providing a check on the integrity of external financial and non-financial reports. Any additional monitoring of the activities of the organisation in order to satisfy itself that it is being properly managed. Supporting effective engagement with key stakeholders. Ensuring the adequacy of internal regulatory and policy compliance systems. Adopting appropriate ethical standards, codes of conduct and appropriate behaviours, and assuring that these are adhered to at all times. Evaluating the Boards own practice and performance and the contribution of individual directors. Deb began her working life as a Dental Assistant in a private practice where she remained for the next 21 years. In this time Deb was a Practice Manager overseeing 3 surgeries and 7 staff and also working as a qualified Dental Assistant in the surgery. In 2003 Deb decided to start her path to Coaching and attained her NCAS Level 1 General Certificate. This was inspired after attaining her Pony Club NCAS Level 1. Deb has coached horse riding as her profession since. Deb says she was always fortunate to have had horses but never had the privilege of attending Pony Club as she lived on land where her parents owned a Pig Stud and Sunday was always market day. It was not until her own daughter Stephanie, joined Horsemen’s Pony Club in 1998, that Deb discovered what a wonderful organisation it was and the opportunities it presented to both riders and parents. 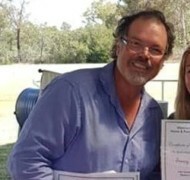 In this time as a parent she became active in the club as a coach where the opportunity arose after attaining her PC NCAS Level 1 to become a member of the Pony Club WA State Coaching Panel. This then led to a position on the then Executive of Pony Club WA as the State Coaching Panel Representative and also the National Coaching Panel Representative for WA. 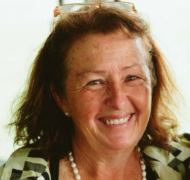 The contribution that Deb would like to make to the Pony Club WA is that her objective views on all matters Pony Club help the Association to grow in numbers and popularity. Over the next few years Deb would like to see the Association grow in numbers, both riders and coaches. Deb firmly believes this is the most wonderful organisation to be involved with and if everyone can work harmoniously together with Clubs and Zones, this will easily be achieved. Jan originated from Kent, England. Moving here when she was young, she began her love of the outdoors post school, working as farm hand in Kojonup eventually attaining her Associate Diploma in Agricultural Technology from Muresk Institute in Northam. From there Jan became involved with horses which continued with her husband’s families Quarter Horse Stud in Gidgegannup where they have been breeding Quarter Horses for the past 40 years. At present Jan is a Laboratory Technician within the education department working in two schools assisting science teachers. Jan has been a member of Gidgegannup Horse and Pony Club for the past 20 years. She began with three daughters as riding members all under the age of 7. Since then Jan has had many roles with in the club including parent, president, vice president, treasurer, events co-ordinator, coach co-ordinator, coach and various roles on the Zone committees. This has given her a thorough grounding in the year to year running of a very active Pony Club and the equestrian world in general. 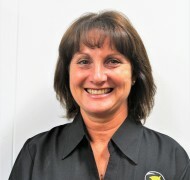 Jan has been the Gidgegannup CNC Event Director for the past 8 years and has seen the event grow to become the largest event held in Western Australia. The Gidge CNC has successfully run both Pony Club WA and EWA classes which always throws up many challenges and keeps the director and committee on their toes. The journey of her own children through Pony Club has instilled in Jan the belief, in Pony Club WA as a character building association for both riders and parents. What other sport involves getting up at the crack of dawn, towing horses all over the state, making sure all the correct gear is packed and clean, knowing all the rules for any particular sport, spending endless hours watching, having and or giving lessons then being on hand to help with those last minute hiccups all for 8 minutes in the arena. 100% worth it. Brooke started Pony Club when she was six years old and was a member for the following period (1997-2009, 2016) at Riverside Park Pony Club. During that time Brooke was actively involved as a member and as a competitor in all disciplines. Brooke represented Western Australia twice at the National PPMG in 2005 and 2006. Furthermore, Brooke has been a member of the Pony Club WA Audit and Finance Committee for the past 2 years, assisting with the audit process and drafting financial statements for Pony Club WA. Outside the world of Pony Club, Brooke has been a member of Kofukan Karate Australia for over 15 years and is currently assisting with teaching students aged from 3 years old. As part of teaching/coaching students, Brooke has gained a proficiency of 3rd Dan Black Belt, holds a NCAS Bronze Dojo Coaching Accreditation, Working with Children card and Apply First Aid Certificate. Brooke’s professional career, has seen her completing Bachelor of Commerce (Accounting/Accounting Technologies) at Curtin University. 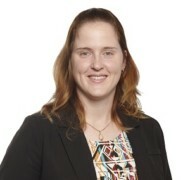 Brooke is a Chartered Accountant as a full member of the Chartered Accountant Institute of Australia and New Zealand and currently holds a position as Audit Manager with Grant Thornton Australia Pty Ltd where Brooke has been employed for 5 years. Brooke currently holds a portfolio of clients from many industries that include not-for-profit, biomedical, manufacturing and aged care. Ann Marie has been involved with horses all her life and this “hobby” became a lifestyle once she married eventer, Shaun Lowry and moved from Perth to Mundijong in 1989. The Lowry family joined Serpentine HPC in 1996 and have been active members for the 22 years since. All three children learnt to ride and developed their horsemanship at pony club but Grace and Tom soon found non-horsey interests to keep themselves busy. Middle child Georgia, however, has always been passionate about her ponies and the huge variety of pony club activities and friendships have been a cornerstone of her life ever since. Shaun and Ann Marie equally found Pony Club people and culture to be amazingly positive, inclusive and fun and they have thoroughly enjoyed being part of such a great youth movement over so many years. 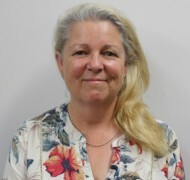 After a very busy career as a corporate lawyer, HR consultant/ recruitment specialist and leadership executive at Fortescue Metals Group between 1986-2014, Ann Marie decided to leave the St Georges Terrace environment and focus on her family and a more rural life. This took the form of being an actively involved owner and director in locally manufactured animal wellness product Anitone and developing a large agistment property “Shanley Green” in Mardella. In addition, Ann Marie took on the presidency of Serpentine HPC between 2014 – 2017 and is very proud of this strong and happy club that celebrates its rich history and community spirit while continuing to produce great numbers of capable riders across all Pony Club sports with admirable sportsmanship and character. Ann Marie believes that Pony Club, at all levels, can deliver even greater services to all the members by encouraging open, transparent and encouraging environments and by sharing the roles and responsibilities amongst as many as possible. In this way, the workload is lighter knowledge is shared and successful succession is facilitated. When I left school, I drove across Australia to work on the largest spelling and pre-training thoroughbred facility in the southern hemisphere. The initial plan was to spend 6 months there before returning to WA, well, six months turned into a very memorable five years before I returned. The following 20 years of my life was spent as a commercial helicopter pilot, flying around WA. A new family, including four young daughters, was the motivator for a change in career, this turn saw me establish a geotechnical and exploration drilling company, followed by our earthmoving and construction companies, which we are still actively running today, along with a new venture. My wife Maria, was an avid pony clubber when younger, and living on a rural property in Gingin with our four daughters, ensured that we ended up in the pony club scene. We are now into our seventh year as members of Wanneroo Horse and Pony Club, with last year and this year seeing me in the role of Club President. I believe Pony Club is a fantastic institution that helps guide, shape and mould our young ones as they are going through their most impressionable years. It teaches them responsibility, comradery and humility, especially when placed in team activities and environments. I am a big believer that the individual Pony Clubs are the ones that “make the Pony Club experience” and they should be the ones that set the agenda and tone for direction of our organisation, with Pony Club WA facilitating this mandate, so that we are being driven by the requirements of our members.